They fell in love with him immediately. The greatest acts of kindness are often those in service of the humblest creatures. And we’re sure this hamster would agree. Officers with the Berlin Police, in Germany, received an emergency call this week from a local hospital, but it was far from a routine request for assistance. 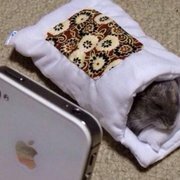 Turns out, patients there had spotted a little hamster, apparently lost or abandoned, cowering alone in a nearby bush at night. They wanted to get him the help he needed. 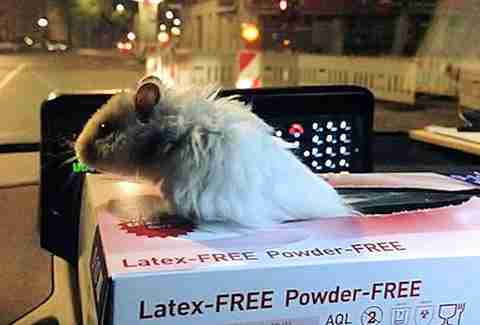 Rather consider the call a waste of their time, cops on duty were more than happy to give the hamster a hand — and a distinguished new title. Back at the station, the officers quickly fell in love with the furry new arrival. 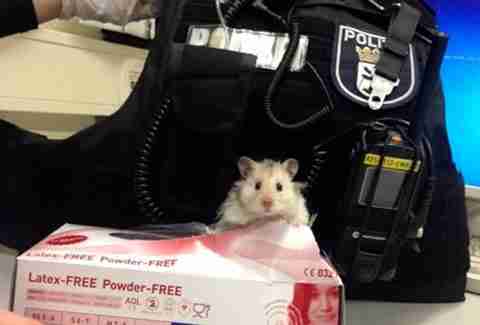 They provided the hamster with hay to bed down in after his scary ordeal outdoors, and snapped photos of him getting acquainted with some of their police gear. Sir Henry was clearly in good hands. 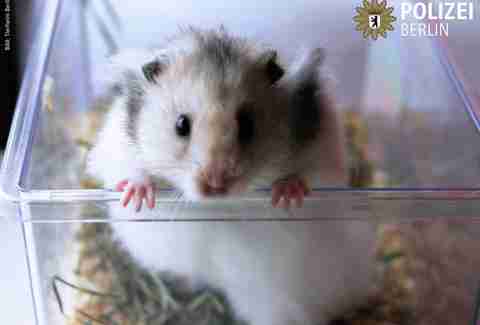 Later on, the police contacted an animal rescue service that would take the hamster in their shelter. 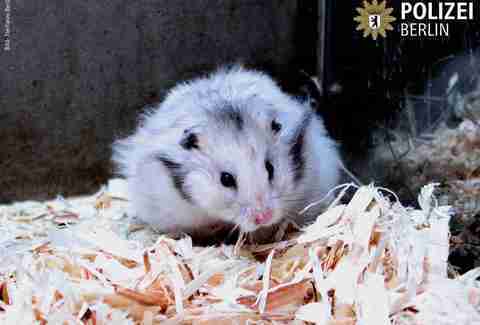 But Sir Henry’s charms eventually proved too endearing to be without for long. Not surprisingly Sir Henry's story earned him a fair share of new admirers online. 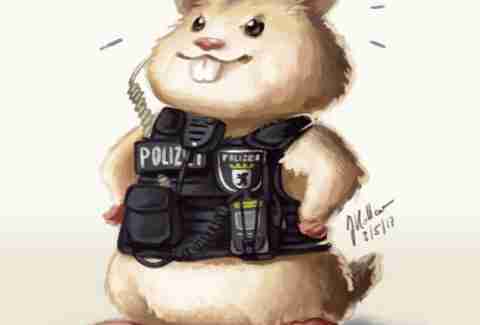 And while some folks seemed a little disappointed that the hamster wasn't hired on by the police, officially, anyway, that didn't keep some folks from imagining otherwise.